The basics and fundamentals of SEO change periodically over the years. These ever-changing circumstances lead most of us to learn some new things every year - and let of some things old. You see, there are new SEO skills needed each year (or every so often) to keep up with the change and keep surviving. 2018 is no exception. A lot has changed since last year, and there's a lot of new stuff to be learned. 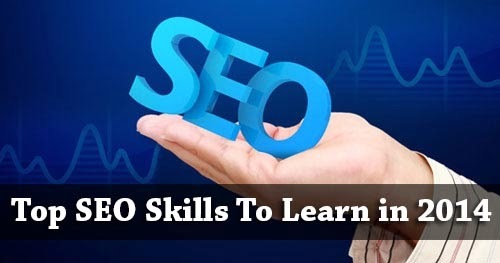 Here are some top SEO skills one should learn in order to be successful in 2018. This era is all about public relations! They've always been an integral part of any successful marketing campaign, but are now more important than ever. Today's customer is harder than ever to get. Public relations can be used to build strong powerful links - links that don’t trigger penalties such as Penguin. Understanding how to pitch a story to news outlets, get them to run the story, and then link back to your site, will be one of the most powerful link building tactics now and in the future. Whether it’s keyword research or content development; research is becoming an increasingly important step with SEO. Not to say that it wasn't before, but is now more so than ever. The Google Hummingbird update has now forced (or is trying to force) webmasters to develop an understanding of user intent, i.e. how users search on Google. This goes a lot deeper than regular keyword research. SEOs need to now understand what types of questions users are asking, not just what words are relevant to the page, since the Hummingbird now entertains 'conversational' search queries as compared to simple keywords. Taxonomy is the practice of classifying things at a conceptual level. Roughly put, this can include your blog labels (for Blogger) and Categories and Tags (for WordPress). They might sound simple, but there's more to them than meets they eye. Suppose you have an online store that sells computer accessories. You might start organizing your inventory around product types. But maybe your target demographic searches for products by type of use, or by manufacturer. A small percentage of this demographic that might include enthusiast gamers might search specifically for gaming products, so there might be a need for further classification. There are a lot of ways you can classify information, and doing it the right way is the art to learn. Online community management has become an important task with brand building and social media management. Having a robust community means more exposure for your brand, and a closer connection to potential consumers. With Google’s ever increasing dependence on Google+ as a platform, community management is becoming an important part of SEO. Sites with strong Google+ profiles will get more exposure and tend to rank higher. Of course, it goes without saying that a basic understanding of HTML is valuable asset to SEO. Meta, title, and anchor tags are the traditional on-page SEO HTML elements. However, now Google is putting more emphasis on structured data and authorship. Both of which requires unique HTML tags to implement. Previous year SEO tips are also good! hey MBT , I really do agree with the first Skills a blogger must have and I am doing just that ! . and I really liked this article - short and great , although I did not understand the 3rd one ! .. I am with you @Adu Alex kindly MBT explain the third point thoroughly. Taxonomy design is how you organize the content on your website. Notice how we have tabs for Make Money, SEO, Blogging, Widgets etc. These are Blogger labels, and posts with these labels are classified under the respective category. How is this important? Well, as a general rule of thumb, a reader must be able to access your most important information within 3 clicks. No more. Not including pagination, a good taxonomy design will make your important and useful content easily accessible. It helps with navigation, and ergo has an impact on user-experience. Let me give you another example. Look at Mashable, and how they've organized information. They have major tabs, like Social Media, Tech, Business, Entertainment, Watercooler (a fun section!) etc. Under Social Media, they have Facebook, Google+, How To, and so on. Under Watercooler, they have Memes, Comics, Conversations etc. This is how they've organized their content. Now, they could have organized it in a different way. I.e. have a How To top-level tab, and have sub-tabs in it about Social Media, Tech, Business, and so on. Similarly, they could have created a whole tab for Mobile, or perhaps may have categorized 'Gaming' under Tech. But they didn't. Why? Because they've found out that their current configuration works best with their target audience. The point I'm trying to make is, you need to design an intelligent taxonomy design on your site that is both logical and useful. It helps improve user-experience, and also provides for an easier maintenance of your site's content. Only doing SEO is not solution for the traffic. You have to be patient share your blog to diff. social media and make backlinks and online popularity.Try to write some guest post. Very nice bro! it adds my knowledge in SEO building for my blog..
Dear Qasim... It is correct and it is getting more important now a days enhance SEO, learn more points apart from the basic points. Coming to the Point 5 HTML and Structured Data, you might have given it as No.5 in this post, It is one of the most important aspect for SEO. Google is putting more emphasis and stress on these rich snippets. Have you checked that this post is missing two rich snippets... One is field: updated, another is hcard: author..